Dominic Monaghan, Elijah Wood & Billy Boyd at the Australasian Premiere of The Lord Of The Rings: The Fellowship Of The Ring in Wellington, New Zealand. 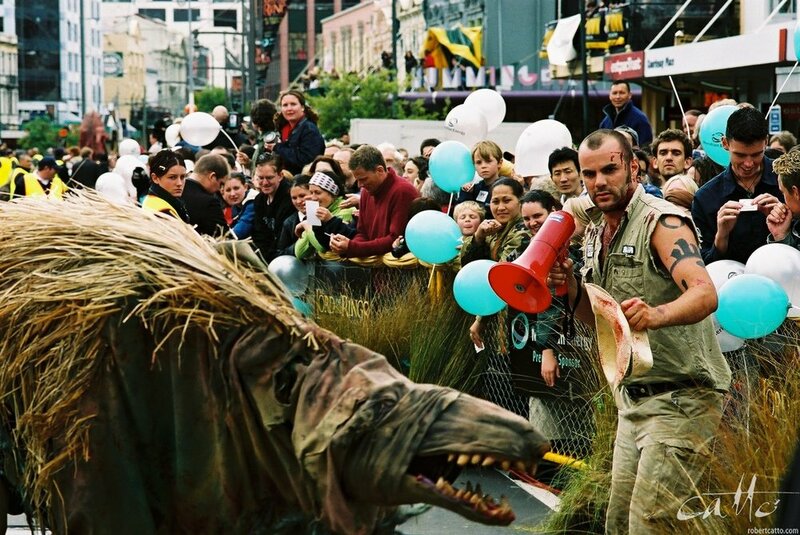 When I moved to Wellington in the late nineties, a lot was happening. When the announcement came that Peter Jackson would be filming the Lord Of The Rings all over New Zealand, he started right in our neighbourhood of Seatoun, where I was living at the time. By the end of principal photography, nearly 300 days later, I had been an Elf, an Orc, a Gondorian and a Rohan - most of them dead, if I'm honest - on sets all over the Wellington region. By the time the first film came out, I was also a photographer - and through my work with Film Wellington, I had red carpet access for the Australasian premiere at the Embassy Theatre. So when I look back at these images, I remember a few things - not having a lot of options in terms of framing, as I only had one camera body at the time (so I had to choose which lens I'd have on it, at any given moment); being in a fairly crowded press pen, with elbows all around me (though it got MUCH worse in subsequent years! ); and the crowds of people, none of whom had much idea how the films were going to turn out, but who just wanted to celebrate the achievement of getting them onto the screen. 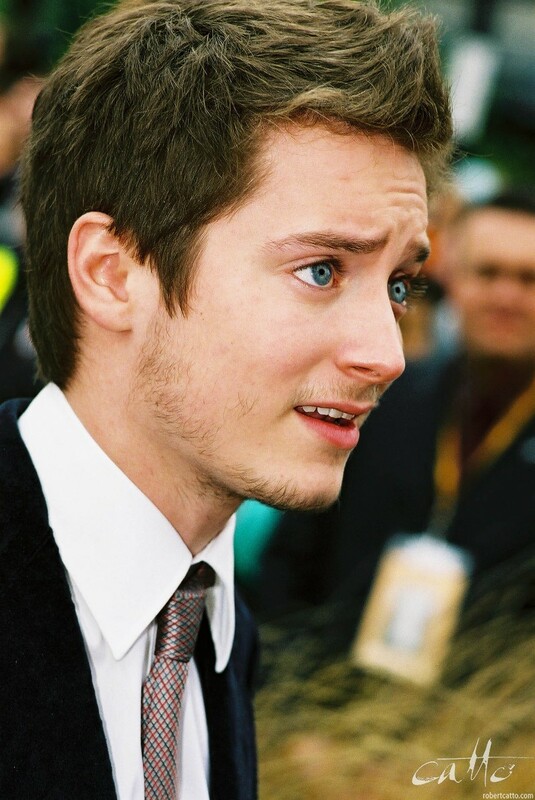 Oh - and I also remember Elijah Wood's eyes. They really ARE that colour, and they're huge! But it was what happened mid-way through the following year that surprised me most. I got a letter in the mail, quite out of the blue, from HarperCollins in the UK saying that author Brian Sibley was interested in using several of my images from the premiere in the final chapter of the official Making Of The Lord Of The Rings guide, to be published before the next film came out. As it turned out, I'd been a bit more diligent (or enthusiastic) in my coverage of the events, and turned up in the middle of the night at the theatre when Weta Workshop were mounting a giant cave troll on the facade of the building for the premiere. Because I'd met Richard Taylor a few times, and a number of the other folks at the workshop, they invited me up a ladder onto the awning with them, where I took a few photos with the high-speed film I had in my camera at the time...and I was the only photographer there. So I'd captured some behind-the-scenes exclusives - not of the film itself, but of the rising swell of excitement in its home town. I worked out the details with the publisher until we were both happy - and the end result was that by the time of the next premiere, I was sporting a brand-new digital Canon camera in the press pen - and was now a published photographer worldwide within just a few months of working in the industry. Nice way to kick it off, really. 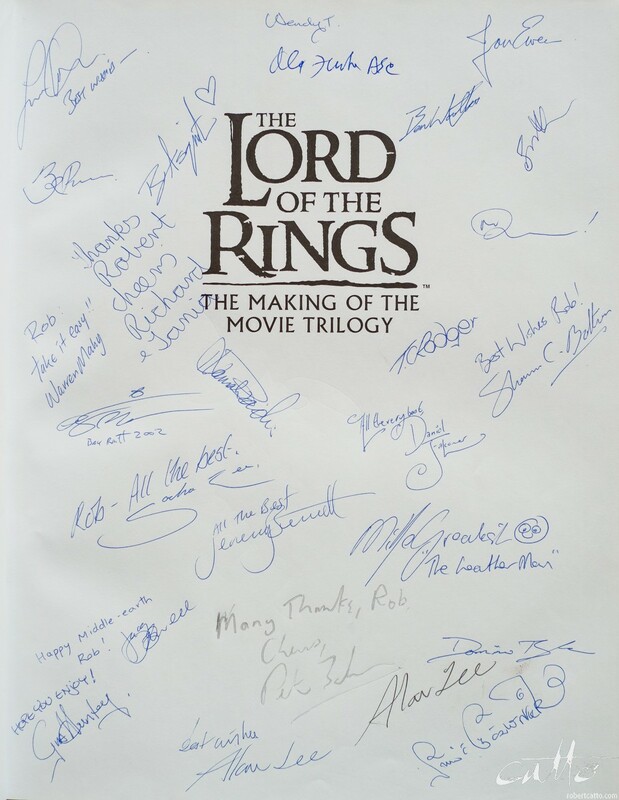 Plus, I had a few copies of 'my' book, one of which managed to get autographed by quite a few of the cast & crew...! But perhaps that's a story for another anniversary - check back next December!